What a charming way to celebrate Spring! 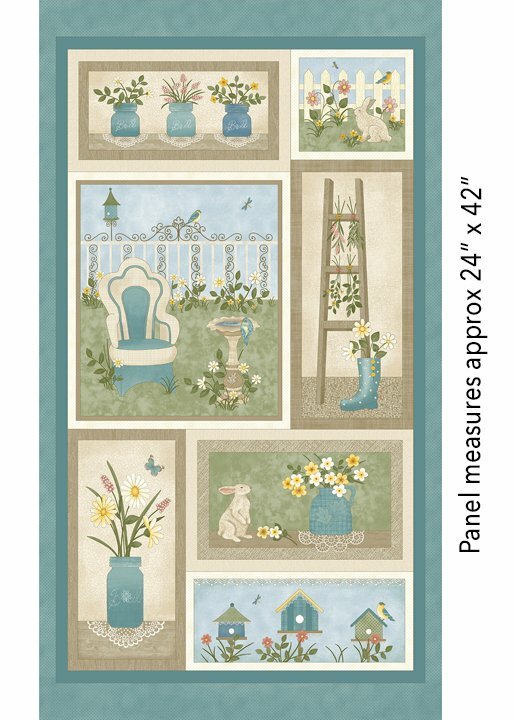 Cheryl’s latest group includes a charming panel with spring flowers, bunnies and birdbath - perfect for using “as-is” or cutting apart. The coordinates are equally charming: packed daisies, canning jars and a wonderful collection of textures and stripes. This is a collection that is perfect for the panel, but it will also be a great addition to your basic shelves.